Recently a grant of £4,000 was donated By Ian Kingsbury JP. 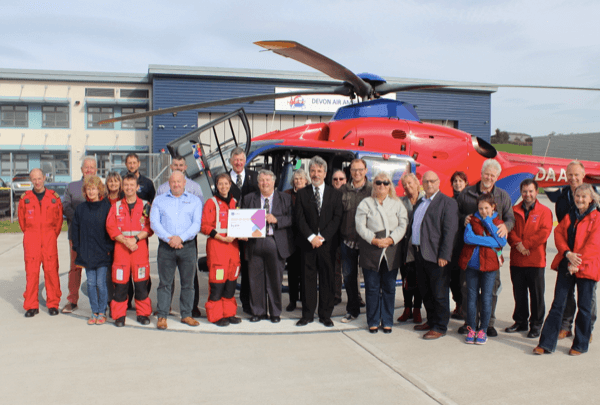 The Provincial Grand Master of Devonshire, who on the day was accompanied by Dr. Reuben Ayres their Provincial Grand Charity Steward to the Devon Air Ambulance on behalf of all Devonshire Freemasons. This has brought the total Masonic support given to air ambulances across the country to £2.3 million since 2007. 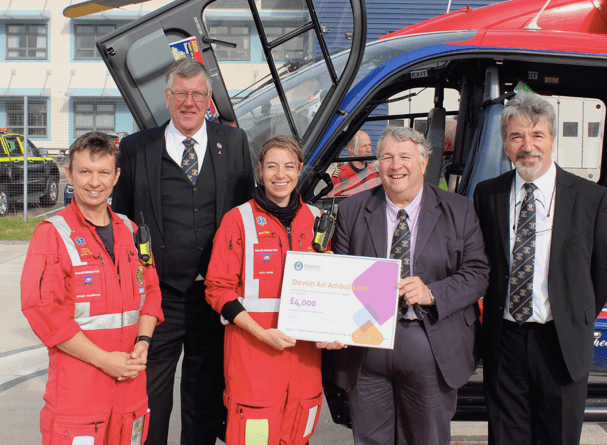 The total contribution to Devonshire Air Ambulance since 2007 by Freemasons is £55,000 and when adding the donations made by individual Devon Lodges the total is over £116,000.